When A Contractor Tries To Talk You Out Of A SIP Prefab And Says They Can Do It Cheaper Read This Post. So many people get talked out of SIP (structural insulated panels) and hence our modern prefab house kits because a contractor says they can build it (a little) cheaper by mimicking our design (not quite, dudes, it never looks or functions well). 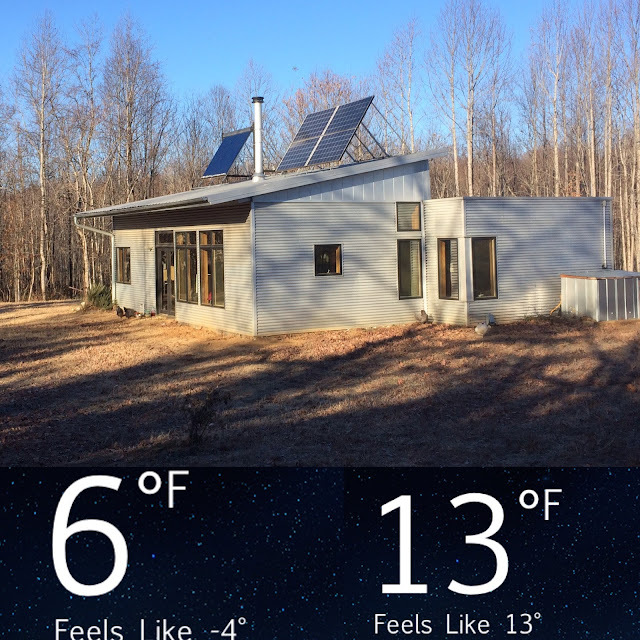 Temperatures this week at the off grid prefab house. Weather like this reminds us of why you don't cut corners on energy efficiency. At Green Modern Kits, we take energy efficient prefab homes, and climate, seriously. 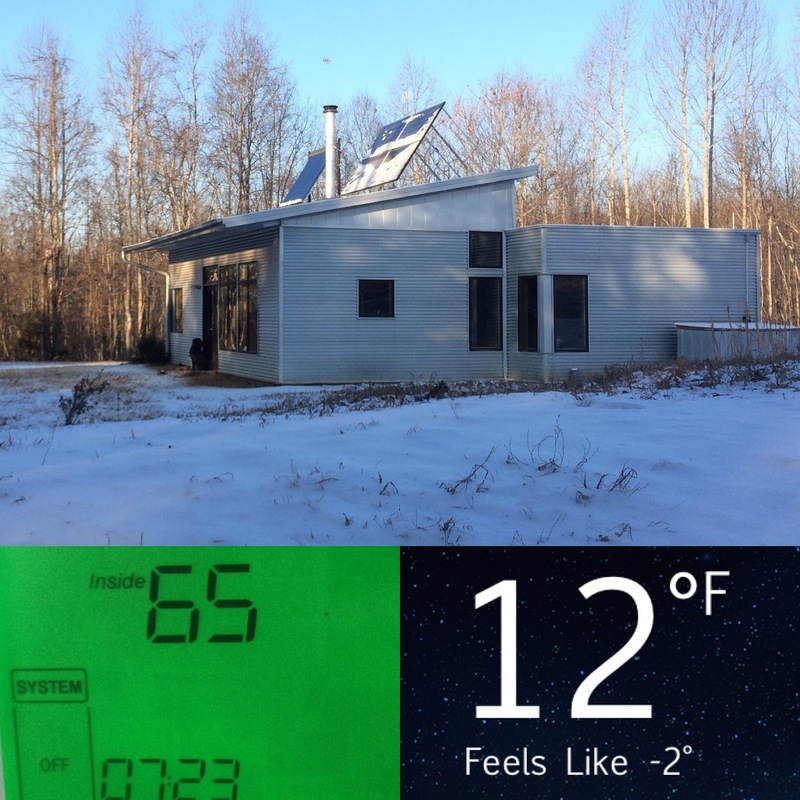 Arctic outside, do we look cold in the off grid prefab house? Remember that when you build energy efficient homes for a little more cost, spending money up front on energy efficiency not only saves you in monthly utility bills, but on replacing (always, inconvenently and expensively) broken HVAC systems. Compare the cost of huge HVAC systems and how you might need to replace systems, and burst pipes, and then compare that to how much your contractor is quoting to "save" you money by doing things "cheaper" thus less energy efficient and functional. Compare the cost of your current HVAC system with the minimal systems one purchases for energy efficient homes. Did I mention it's Arctic outside? Not cold in the off grid prefab house... it's toasty! 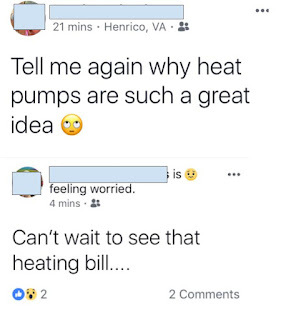 My social media feed was filled with homeowners bemoaning the loss of one heat pump system after another. Burst pipes. Heating systems that could not keep up with the severe cold pushing indoors through poorly insulated walls. We faced howling winds. Negative temperatures, night after night. Snow. 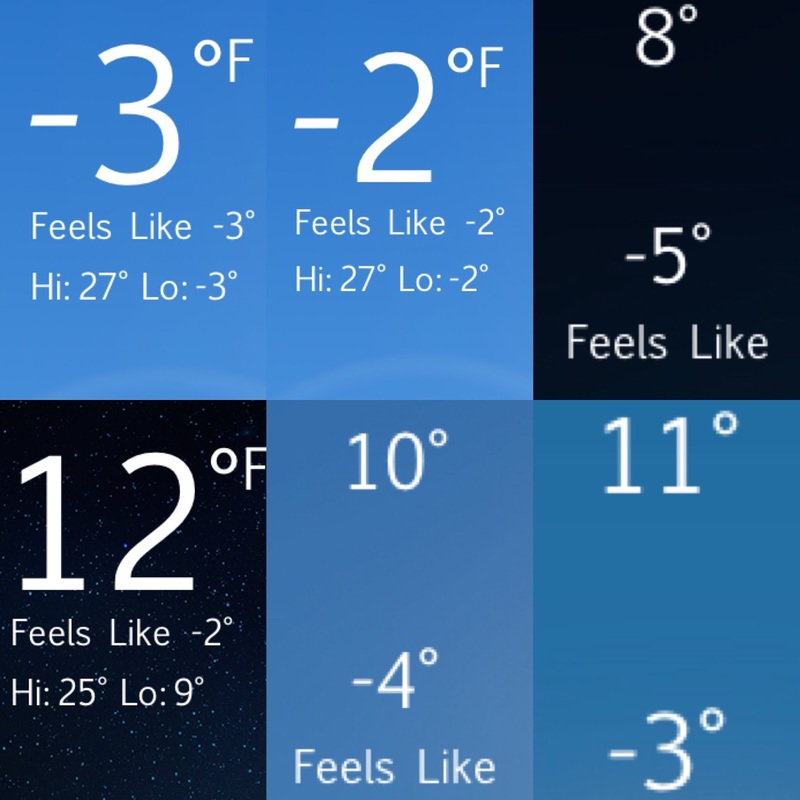 I wondered how a week of severe weather, with negative wind chills all week would mean to be in the "standard thickness" of our structural insulated panels (SIP) for the modern prefab house vs. the "thicker panels" option people in severe climates would order. For it was Arctic. 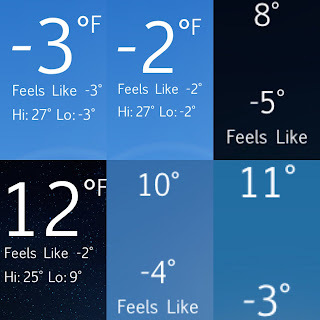 And yet, every morning we woke to indoor temperatures that were FINE. Even though the cook stove had burned out thus leaving us with no heat. I wondered how getting through a winter would be like, off grid, now relying on weed trees like the tree of paradise that now makes up our wood pile. Each morning we woke in the 60s after a night of no heat because the fire in the cook stove went out. 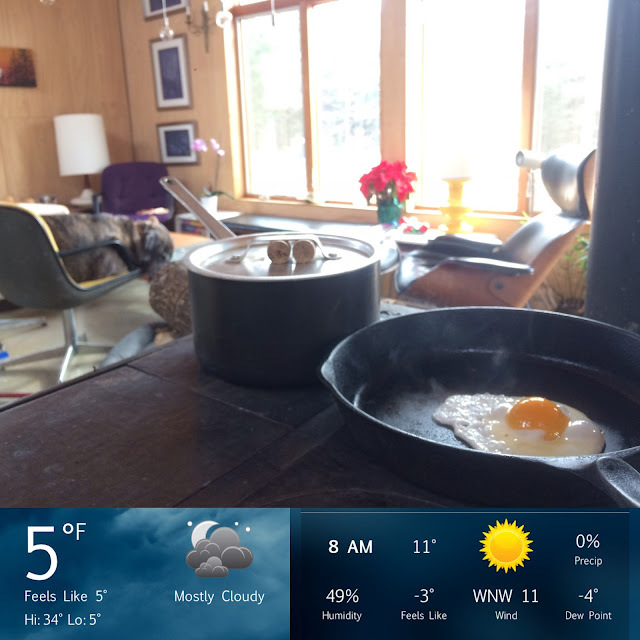 Each morning I got the cook stove going and watched the indoor temperatures jump. Reflecting on how the now-100%-weed-trees woodpile performs against the traditional hardwood (i had a few pieces I burned this week)... I like it more. I was surprised when the oak still popped seasoned as it was... I think leaving the weed tree wood unsplit (but seasoning is super important, as it is for any firewood) made it burn so steady. When I wanted more heat I just tossed in smaller branches... I LOVE IT. I have read articles on how invasive the tree of paradise is and how it is suffocating our native trees. BURN IT, it works GREAT. As usual, when the temperatures got severe, my mom called. THIS TIME she did NOT tell us to flee the off grid prefab house because "we were all going to die..." but instead told me that they had gone to check on their river house before all this severe weather arrived: "The gas was out and the company needed to get in, so we went down and THE INSIDE TEMPERATURE WAS THIRTY-TWO DEGREES!" Now their river house is recent construction, up to code, has plenty of natural, even passive solar light. So now we know what their river house would wake up to in winter with no heat: THIRTY TWO DEGREES. AND the Arctic air hadn't yet arrived!!! SO. Remind yourself to read this post when contractors try to talk to you about how much money you're going to save not going the prefab SIP house route. We're comfy and cozy at the off grid prefab house! 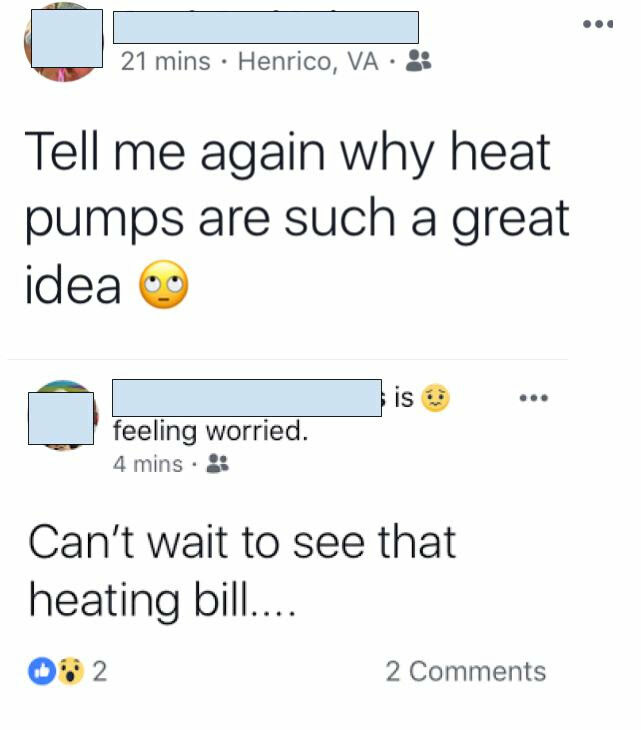 Which is what no one wants to hear when it's Arctic out.